Contact the experts at Baird Foundation Repair to schedule an appointment and installation quote. We serve commercial clients throughout Texas, including Corpus Christi, Laredo, San Antonio and nearby. Give us a call today! Fast, effective results. Foam trench breakers can be installed quickly and safely and the result is a solid support for pipelines. To schedule a free consultation, contact the experts at Baird Foundation Repair today. 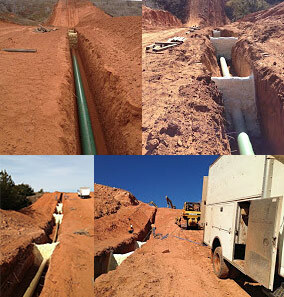 Our pipeline trench breaker services are available in San Antonio, Laredo, Corpus Christi, Converse, Schertz, Floresville, Boerne, Universal City, Canyon Lake and throughout the surrounding area.